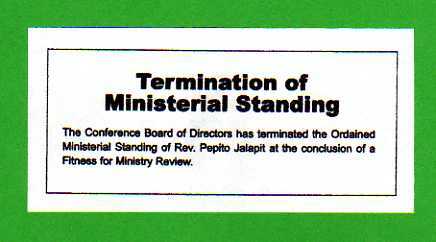 On-line Termination Publication for Pepito Jalapit's Termination ( bottom right). 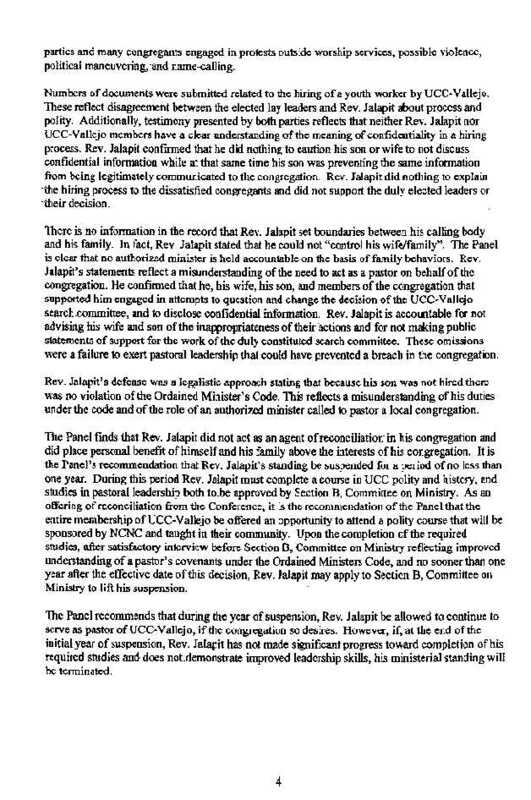 After Pepito Jalapit was suspended for about a year and still did not correct the charges found valid in the case, particularly where he "place personal benefit of himself and his family above the interest of his congregation", Pepito Jalapit's Ministerial Standing as Ordained Minister was terminated. 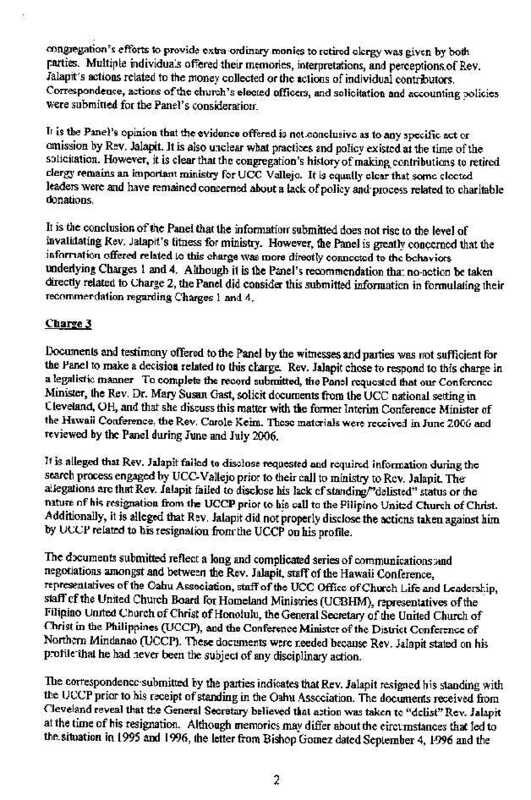 This is a serios matter. 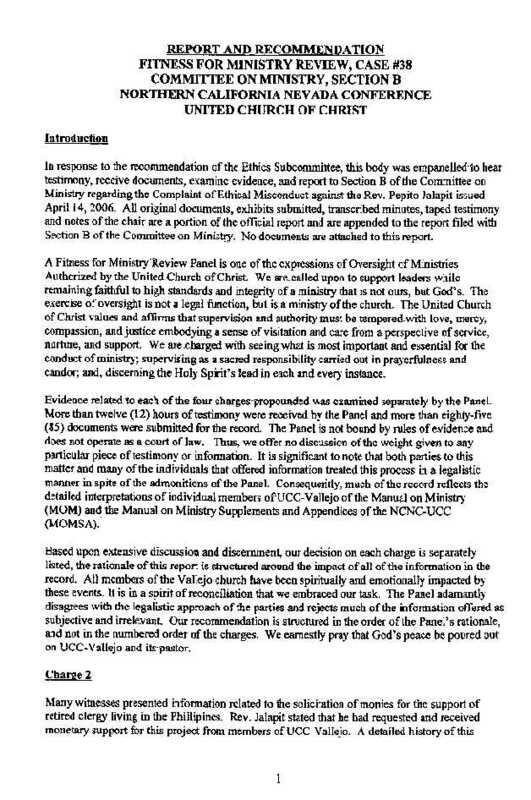 Termination of Ordained Minister's ministerial standing is typically reserved only for serious offenders. 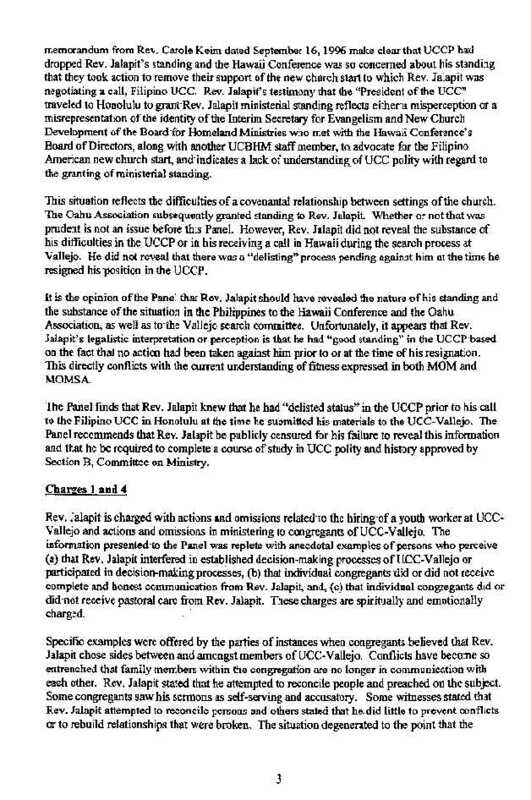 This is a public service publication so truth be known about the Termination of Ordained Ministerial Standing of Pepito Jalapit because these information have been suppressed by Pepito Jalapit and the current leadership of Pepito Jalapit's congregation in UCCV.